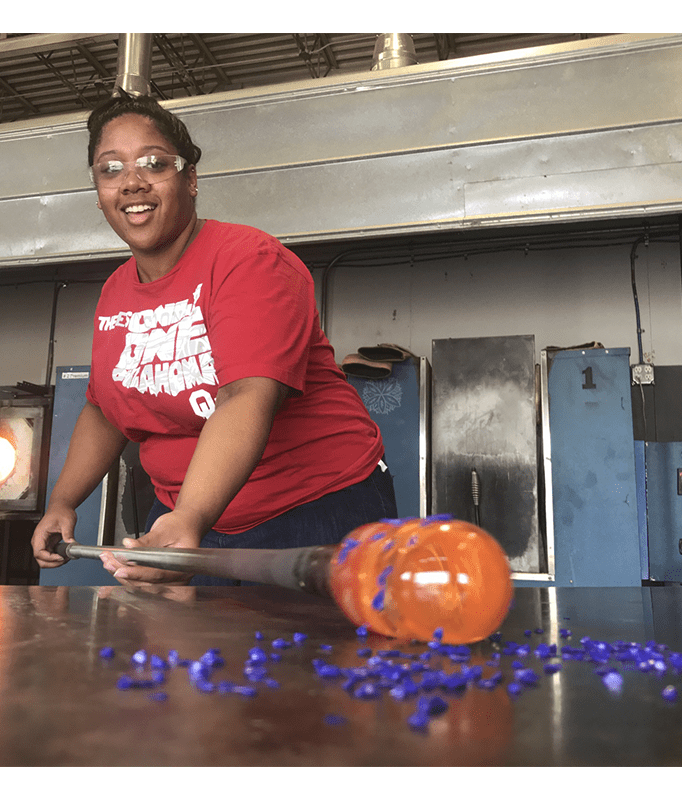 More than a class, it’s a hands-on, personalized glass blowing experience. 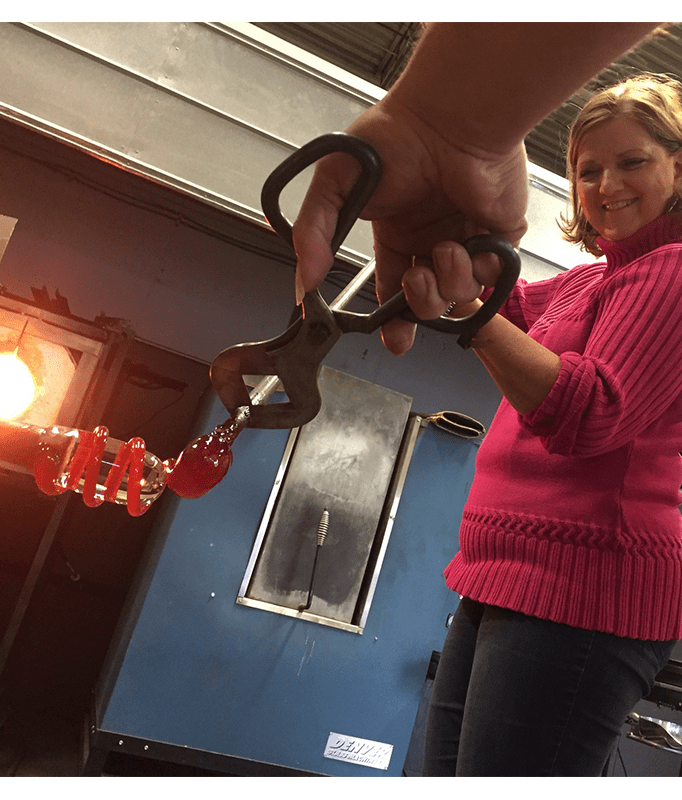 What makes our tandem glass blowing classes stand out? 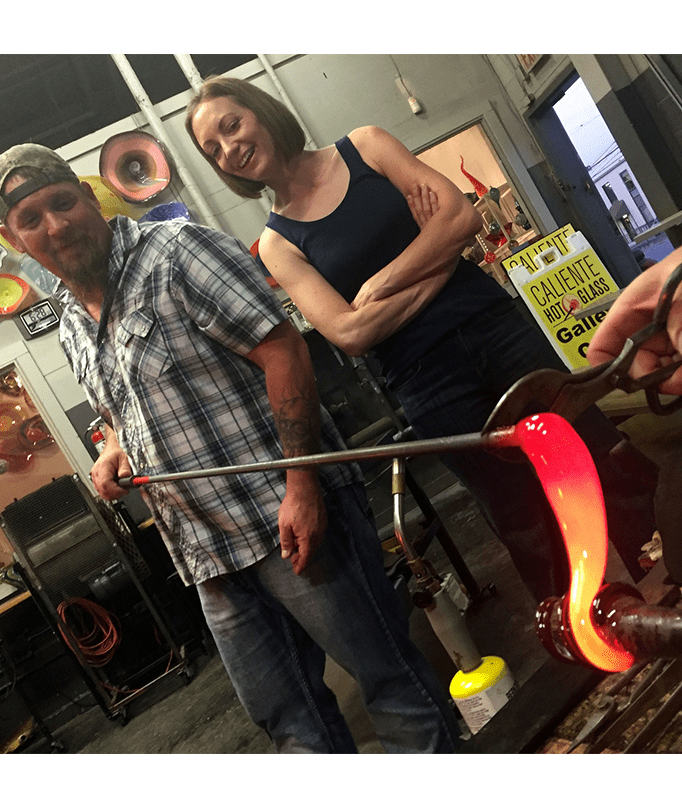 Experience the glass blowing adventure with our resident artists as we guide you through the design and creation of your own one-of-a-kind art glass. Crowd favorites are fluted bowls and wall platters which are often 10-14” in diameter, and whichever you create, your experience is certainly brag worthy. 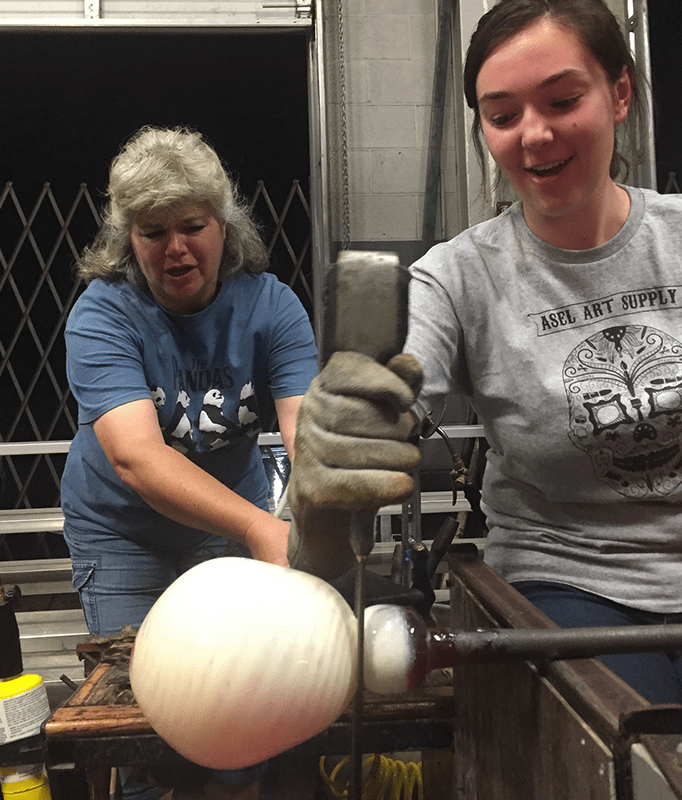 Our tandem glass blowing classes are private events for you or your group. No experience necessary, our expert instructors will be with you for the journey! Of course spectators (and their cameras) are welcome to watch too. We host classes Thursday - Saturday starting anytime between 2pm and 6pm. Classes typically last 1-3 hours. Online scheduling is available for classes more than a week in advance, but if you’re looking for something sooner, just give us a call. Use our easy online booking system or give us a call to book your tandem glass blowing class. We have classes for individuals and small groups to make a single piece or each make their own piece. Please be sure to read our FAQ’s before booking. 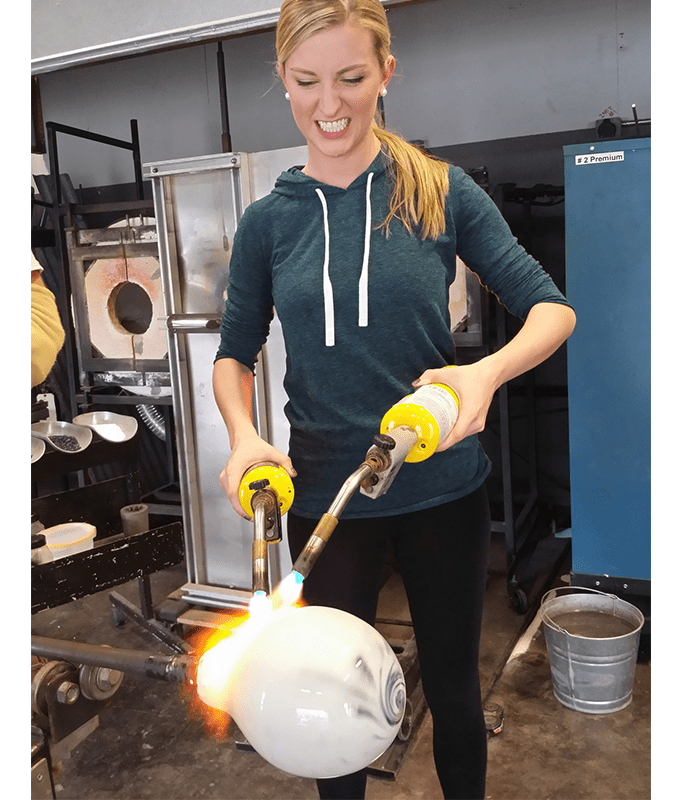 We’ll start your class off discussing the style and form of your piece, tour the studio and review best practices for glass blowing. 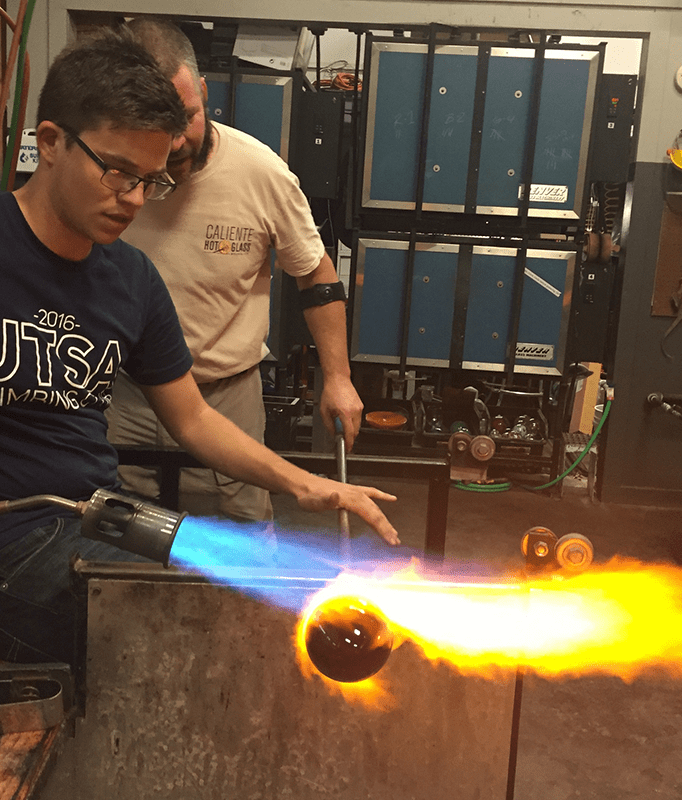 Once in the hot shop, working with the molten glass, your instructor will guide you through each action needed to create your own glass art. Classes usually take 2+ hours. Waiting is the hardest part! Once your glass art is created, it needs to cool for 18-24 hours in our studio before it can be taken home. Most pieces can be picked up 2 days after your class or we can ship for an additional charge. to make their own piece. with 2 or more people. Buy Now - Play Later!